Transverse crack or corner break developed as a result of joint dowels. Figure 1: Dowel bar corrosion. 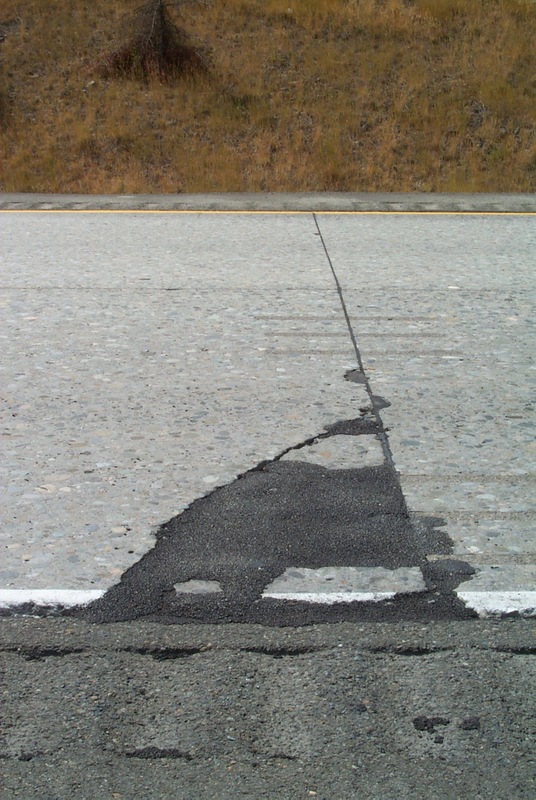 Figure 2: Patch over an area of dowel bar failure. Corrosion. If inadequately protected, dowel bars can corrode over time. The corrosion products occupy volume, which creates tensile stresses around the dowel bars, and a severely corroded dowel bar is weaker and may fail after repeated loading. Misalignment. 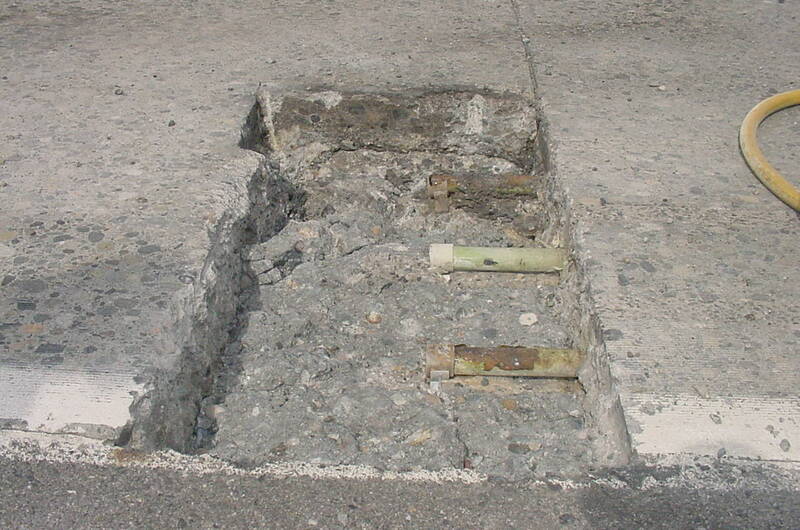 Dowel bars inserted crooked or too close to the slab edge may create localized stresses high enough to break the slab. Misalignment can occur during original construction or during dowel bar retrofits. Removal and replacement of the affected joint load transfer system followed by a full-depth patch for affected area.